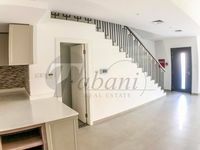 Property searchers are about to find a wide set of displayed villas for sale in Jumeirah Village Circle, it’s a fancy residential community built by Nakheel Properties and located in the heart of Dubai. The project lies directly off Al Khail Road and it’s near Sheikh Mohammed bin Zayed Road. Jumeirah Village Circle is a quintessential high standard residential community adjacent to many other top-end developments like Motor City, Al Barsha, Dubai Sports City, and IMPZ. The project lies in a freehold area, which means all nationalities from all around the world are free to buy properties their. Jumeirah Village Circle is a safe sanctuary that offers total comfort and relaxation to its residents, yet it’s not detached from Dubai’s many hotspots and leisures. That’s why it became very attractive between real estate investors looking to purchase property in Dubai and home hunters who want to find a nice location for living. Residents of Jumeirah Village Circle will find all what they need. The project has all needed facilities including schools, hospitals, health centers, retail centers, and other. It offers also many recreational venues that cater enjoyment and happiness to all segments. Sportspeople will find many sports venues scattered around the community like tennis courts, football pitches, and jogging pathways, there are also vast parks and landscapes very suitable for talking a walk or gathering with friends. The project includes also swimming pools, fitness gyms, saunas, steam baths, and many other. Moreover, it has a wide selection of restaurants offering different sorts of food and beverages. Residents of Jumeirah Village Circle will never miss out on good moments as they have a plethora of amenities around. The community is also 10-minutes drive from Dubai’s popular hotspots like Dubai Mall, Burj Khalifa, and other. 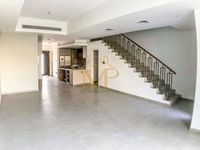 So, if you are thinking that living in Jumeirah Village Circle villas will make you feel detached from all the action, you ought to give it another thought. 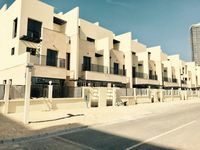 There is a wide array of villas for sale in Jumeirah Village Circle ranging in size from two-bedroom villas to five- and six-bedroom villas. 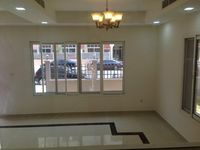 They vary to meet all demands and suit the different requirements of buyers. Most villas are equipped with a private swimming pool, entrance garden suitable for holding BBQs or parties, and special car parking area. They also offer scenic views of the lush green landscapes surrounded the residential clusters. The project includes a number of developments like Circle Villas, Nakheel Villas, Oxford Villas, Diamond Views, and other. Sale prices of Jumeirah Village Circle villas start from AED 1,600,000 for a two-bedroom villa and AED 1,900,000 for four-bedroom villas. No matter what kind of house you are willing to buy in Jumeirah Village Circle, you will definitely find a wide set of options on Just Property to choose from. The website has a myriad of villas for sale in Jumeirah Village Circle that could seem suitable for all segments of buyers. Just check our lists and pick up the property that suits you best.